Bring a Friend - Share the Fun! All friends and family are welcome to our next pack meeting on Thursday. This one's going to be fun for everyone. 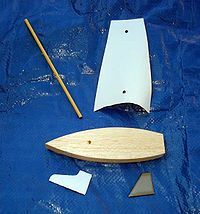 Scouts and thier friends will receive a boat building kit that they'll assemble and decorate. 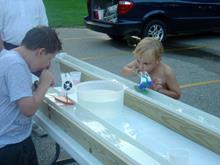 Then they'll use a straw to provide "wind" power, racing them down a 10 foot length of water-filled gutter. The races will be run 'for fun', and no rankings or prizes will be awarded - simply an opportunity to get together as a group, build boats, and give them try. Just for the fun of it! Scouts and friends may arrive at their designated time to begin assembling and decorating their boats. After they're completed (about a half hour) they'll race with their age groups (Dens). Come anytime or stay longer to watch the other races and see the other designs. This is a low commitment craft and fun activity for the boys. Scouts are encouraged to bring a friend who may be interested in Cub Scouts. Families who are interested in scouting are welcome too! 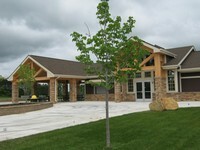 To get to the park from Hwy 61, go east on 140th Street/ County Road 8 and continue approximately 1.5 miles. The Hanifl Fields Athletic Park is on your left just beyond the Hugo Public Works building. This activity is a great opportunity for scouts to display any new belt loops, awards, or patches they've received since we met last. Please have your son wear his Class A uniform. That includesthe blue shirt with neckerchief and slide for Tigers, Wolves, Bear and Webelos. Incoming new Lion Cubs can wear their Lion Cub t-shirts. Adult Leaders are asked to wear their Class A uniforms.